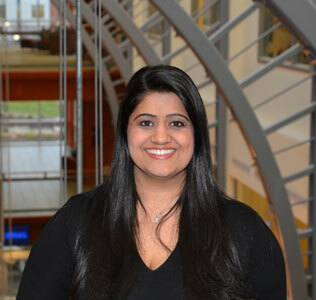 Aarti Bellara is an Assistant Professor of Research Methods, Measurement, & Evaluation at the University of Connecticut. Dr. Bellara specializes in assessment and measurement theory, assessment literacy, psychometrics, and propensity score modeling. Her research is multidisciplinary and focuses on examining the application of theory to practice. Her scholarship has appeared in various national and international journals including, Multivariate Behavior Research, Journal of Teacher Education, Journal of Multidisciplinary Evaluation, & Journal of Educational and Behavioral Statistics. In addition, she has presented her work at over 70 conferences and currently serves as an assessment advisor to the OSEP-funded National Center on Intensive Interventions. Dr. Bellara currently serves as a Co-Principal Investigator on the USDOE federally funded research grant, Thinking Like Mathematicians: Challenging All Grade 3 Students. Prior to becoming university faculty, she was an elementary classroom teacher in Connecticut. Bellara, A.P. (2018). Modified Angoff Standard Setting. In Bruce Frey (Ed.) Sage Encyclopedia of Educational Research, Measurement and Evaluation. (pp. 1082-1083). Thousand Oaks: Sage Publishing. Montrosse-Moorhead, B., Bellara, A.P., & Gambino, A.J. (2017) Communicating about Evaluation: A conceptual model and case example. Journal of Multidisciplinary Evaluation, 13, 16-30. Rodriguez de Gil, P. Bellara, A. P., Lanehart, R. E., Lee, R. S., Kim, E. S., & Kromrey, J. D. (2015). How do propensity score methods measure up in the presence of measurement error: A Monte Carlo Study. Multivariate Behavioral Research, 50, (5), 520-532. Bellara, A.P., & Hibbard, S.T. (2015). Using Collaboration to Reframe Evaluation of an After School Program. In L. Rodriguez-Campos (Ed.). Collaborative Evaluation in Practice: Insights from Business, Nonprofit, and Education. (pp. 139-148). Information Age Publishing. Karanxha, Z., Agosto, V., & Bellara, A.P. (2014). The hidden curriculum: Candidate diversity in educational leadership preparation. Journal of Research on Leadership Education, 9(1), 34-58. DeLuca, C., & Bellara, A.P. (2013). The current state of assessment education: Aligning policy, standards, and teacher education curriculum. Journal of Teacher Education, 64(4), 356-372. Bellara, A.P., & Hibbard, S.T. (2011). Assessing learner needs through formative evaluations in a prescriptive course: Self-Reflection of teaching practices through student input. International Journal of Learning, 17(7), 359-368.